A high elf, a dwarf, and a lizardman walk into a bar...with a mission for Goblin Slayer! The revival of the dark gods has brought chaos to the lands, with an army of demons closing in on the horizon! 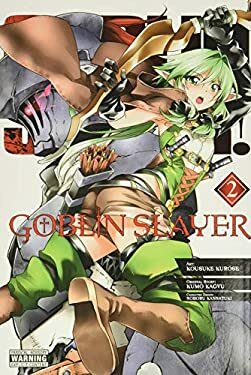 However, Goblin Slayer's here for one job and one job only: slaying goblins. Can the new trio gain his trust and win him to their side before the end of the world as they know it...? New (21 available) BRAND NEW. Over 1.5 million happy customers. 100% money-back guarantee. Make your purchase count: support Better World Books' worldwide literacy partners.